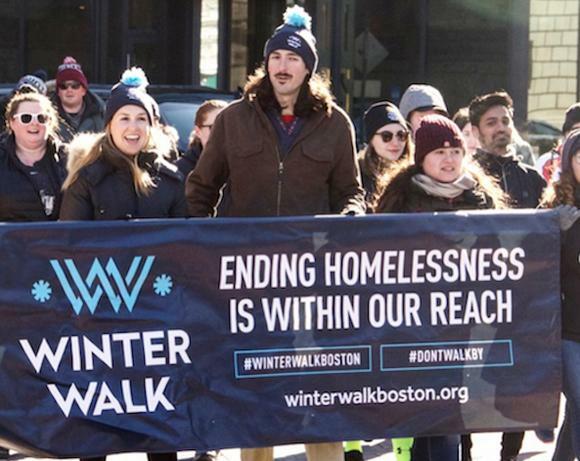 Members of the Two Ten Footwear Foundation joined thousands of people bundled up to walk through the streets of Boston yesterday morning with a mission to help end homelessness during the third annual Winter Walk. The walk takes place in February to demonstrate the hardships that homeless individuals face during the winter months and was the perfect way to kick off Two Ten Day celebrations. Thanks to Shoes.com, Asics and Sperry, who all participated by donating shoes to homeless shelters across the city. It’s not too late to celebrate and take part in Two Ten Day. Here is a list of great ideas that can help inspire your own planning—even if you’re hosting a belated birthday party. We’ll be sharing pictures from friends around the footwear industry who are celebrating, so make sure to tag us on social and use #TwoTenDay. For more information on Two Ten Day and how you or your company can participate, please reach out to Ashley Kouyoumjian at akouyoumjian@twoten.org.